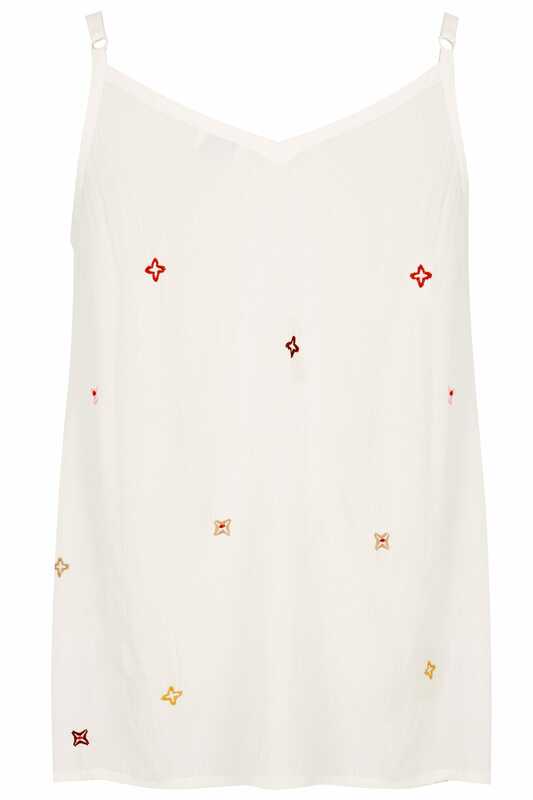 In a stylish sleeveless design, this woven cami top is perfect for spring summer weather. 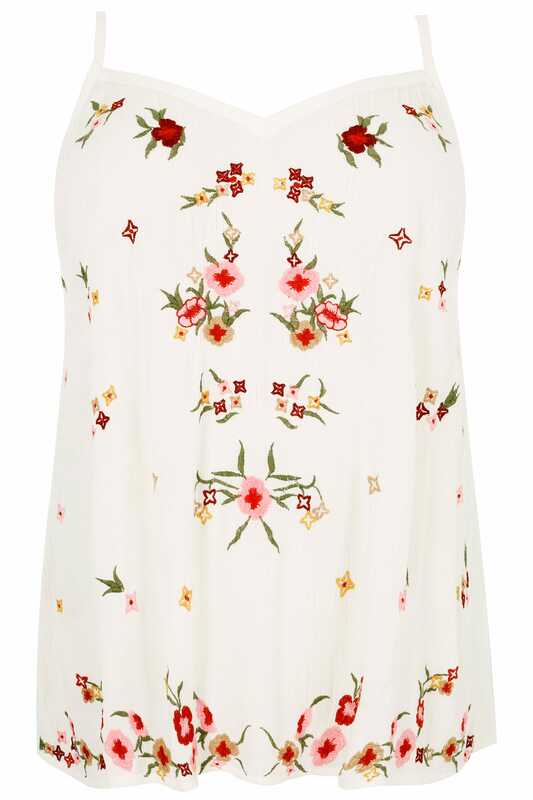 Featuring floral embroidery to the front and back, we love the feminine feel of this garment. Team with skinny jeans and mules for a chic day to night look. This cami top has us dreaming of sunshine. 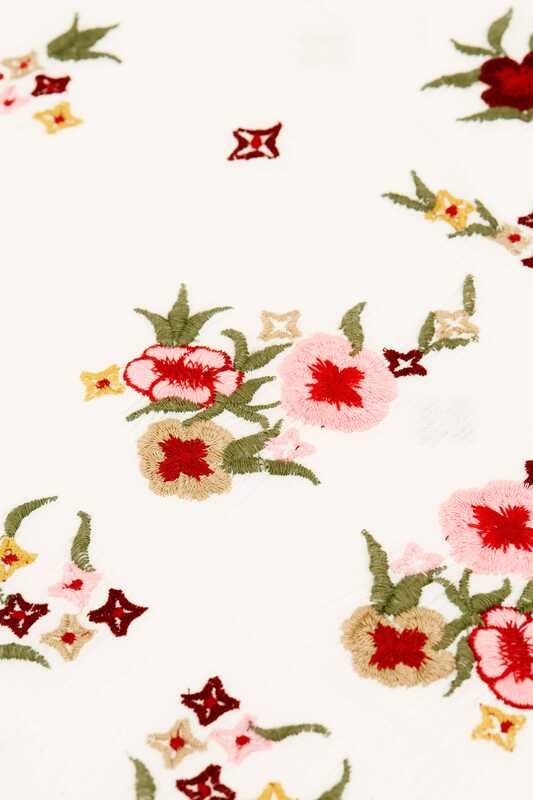 We love the delicate embroidered pattern.